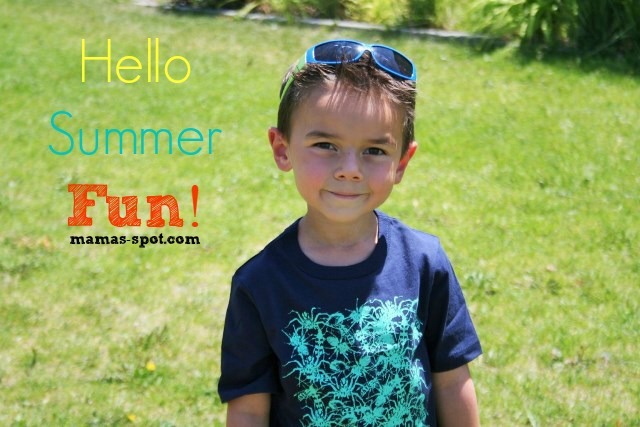 Say Hello to Summer Fun with Sleepovers, Campouts, Gooey Food and OshKosh B’Gosh! I participated in an Influencer Activation on behalf of Influence Central for OshKosh B’Gosh. I received an OshKosh B’Gosh gift card to facilitate my post and a promotional item to thank me for my participation. I want my kids to comfortable and happy in the summer. 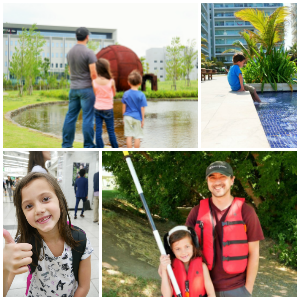 Our family does a lot of different activities and they need to feel great while having fun. Some would say, mostly my husband, I over-plan our summer—but I don’t care. Because of the harsh winters in Utah, once that summer sun comes out all you want to do is play and have as much fun as possible. It’s time for hikes to waterfalls, playing for hours with friends, camping and more! With so many different activities my kids also need clothes that are going to hold up, and only one place comes to mind for comfy high quality kids clothes – OshKosh B’Gosh. I have been going to OshKosh B’Gosh since my kids were in diapers. Kids can go through clothes way too fast; I want quality clothes that are going to last as long as possible. In their toddler phase, my kids were constantly falling down and I noticed that their OshKosh B’Gosh clothes wouldn’t tear or rip, but other brands would. Right then I made a permanent switch. Now that my kids are older it’s all about style and comfort and OshKosh B’Gosh still holds up. My daughter gets so excited when we go clothes shopping, she can’t wait to see all the cute summer dresses, shirts and accessories. My little boy isn’t quite as excited about clothes; he just wants comfort. He does love graphic tees that have cool designs and pictures, and can’t wait to have a wardrobe full of them. I know with OshKosh B’Gosh both of my kids will walk away happy. 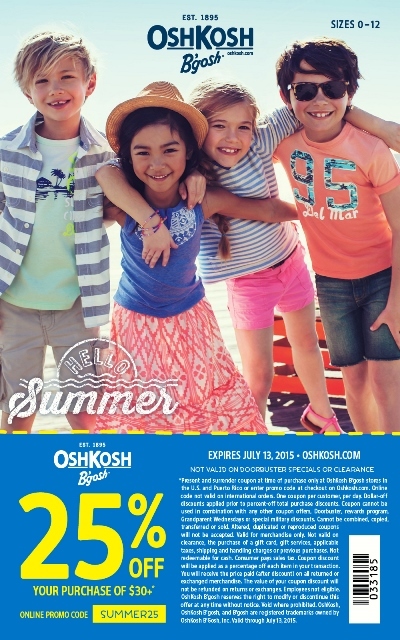 We recently visited the OshKosh B’Gosh store near us to stock up on some clothes to get us through that summer. I walked in with $100 gift card and walked out with a lot of amazing clothes! Plus some coupons for next time! Now that we are set on clothes it’s time for the fun to begin! One of the first activities my son wanted to do this summer was to have a campout sleepover. I started to get planning and decided it would be fun to have the sleepover party start earlier in the day with some water activities! 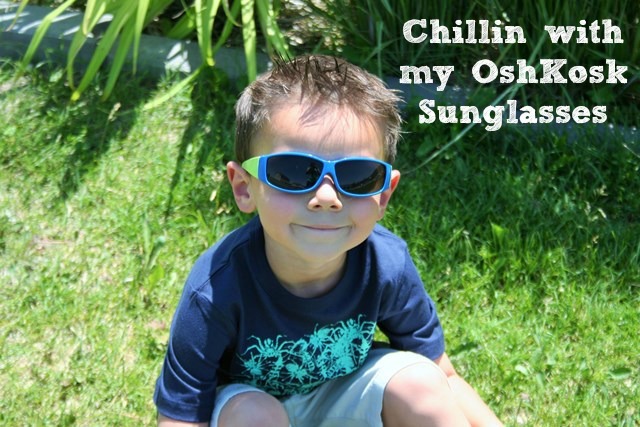 We got some new swimsuits with our OshKosh B’Gosh haul and it was time to use them! 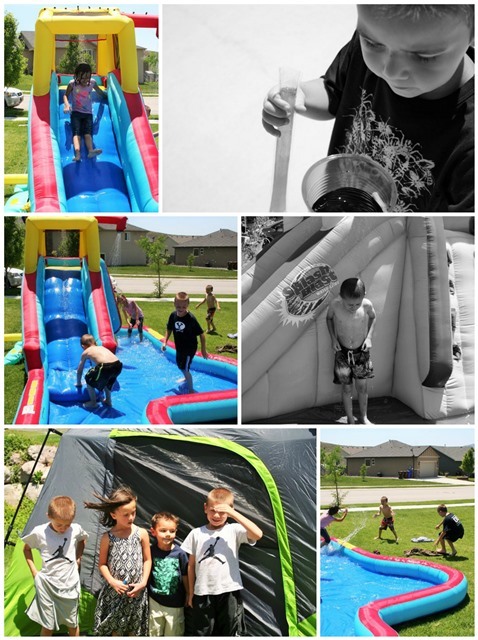 We did water balloons, water slide, and a homemade slip ‘n slide. If you are looking for a fun and inexpensive summer activity I highly recommend the homemade slip ‘n slide. I just purchased some plastic sheets from the hardware store, laid it out putting two camping stakes through it on the top so it doesn’t move, and put soap and water on it. Then I let the kids run and slide down it. It was a big hit! After all the water fun, we decided to make s’mores. Because I’m a mom I always seem to be trying to add something healthy to my kid’s treats and snacks even if that treat is a s’more. You can’t blame a concerned mom for trying right? Luckily my kiddos are pretty use to it by now and they roll with the punches like when I say, “hey kids, for the team snack I made some chocolate covered Brussel sprouts!” Haha! Poor Brussel sprouts no one likes you—please stop tasting like dirt so I don’t have to cover you with something delicious just to stomach you. You can make these with any toppings you desire! 1. Dip your dry strawberry into the Marshmallow fluff or cream and swirl it around the strawberry. 2. Lightly toast your strawberry over the fire making sure to only toast the marshmallow, not the strawberry itself. 3. Put near the fire, but not directly over the fire for a few minutes. If you are looking for some campout recipes these are definitely crowd pleasers and will leave everyone happy and full. The kids were full, happy and starting to get sleepy so it was time to head into the tent and get ready for bed. We set up a tent in our backyard and it’s a great alternative to packing up a bunch of kids and trying to head into the mountains. When our kids get antsy to go camping, but we don’t have the time or we don’t feel like packing everything up we just set the tent up in the backyard and go camping! My little boy changed out of his OshKosh B’Gosh graphic tee and his shorts into some comfy PJ’s and he was ready to turn in for the night. The kids had a blast and it was definitely a successful sleepover. I can’t wait to plan our next fun summer activity and I know my kiddos will be comfy and stylish in their new OshKosh B’Gosh summer wardrobe! 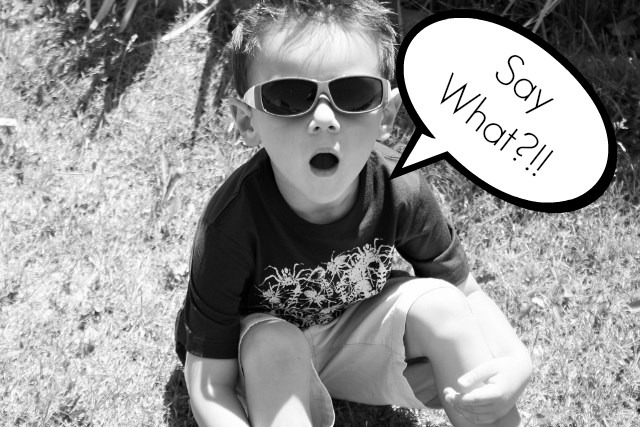 Want to snag some of these wonderful OshKosh B’Gosh styles for your kids? Grab this 25% off coupon and head over to your local store or check out what’s online! 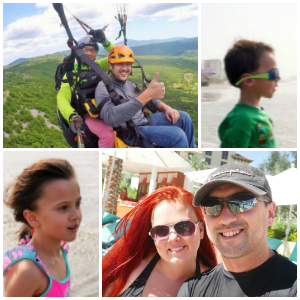 What are some of the activities you have planned for this summer? Let us know!